WhatsApp doesn’t need Any Introduction, as It is the most popular and Heavily used for texting instead of SMS. Whatsapp is the NO.1 SMS Killer. I am sure almost every person who Loves SMSing and Chatting must be Using whatsapp. You Might be noticing Their Service Was Free and also There were NO Ads in it. 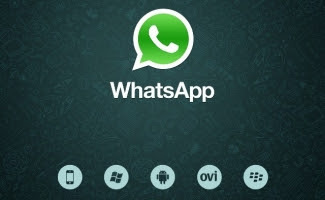 but now as the company is providing constant Support to its Application they have started Paid WhatsApp Subscription . So from Now Whatsapp Said on their Official blog, it is free to Try for 1 Year. after that you will have to buy it or Subscribe its premium Plans in order to use this Service. But Still there is A Bug but which you can get WhatsApp Subscription for 10 Years FREE. First you need to Delete you WhatsApp Account from your Phone. Then you need to Register WhatsApp with your Number on his Iphone or Ipad. After these Steps WhatsApp will load and Start on Iphone, just Check WhatsApp Account and it will have Paid Subscription will 2022. Now Final Step: By this You have got Paid WhatsApp Subscription till 10 years. Now you Simple Need to Delete your Account from Iphone/Ipad. and Simply Then downlaod the WhatsApp on Any Device which it supports and Enter your Number then verify It. you will see you have got 10 Years of WhatsApp Free.